Single malt whisky distilling is set to return to Edinburgh for the first time in almost a century after the local authority approved a bid to transform a disused building into a distillery. Holyrood Park Distillery will have a capacity of 200,000 litres of alcohol per year. 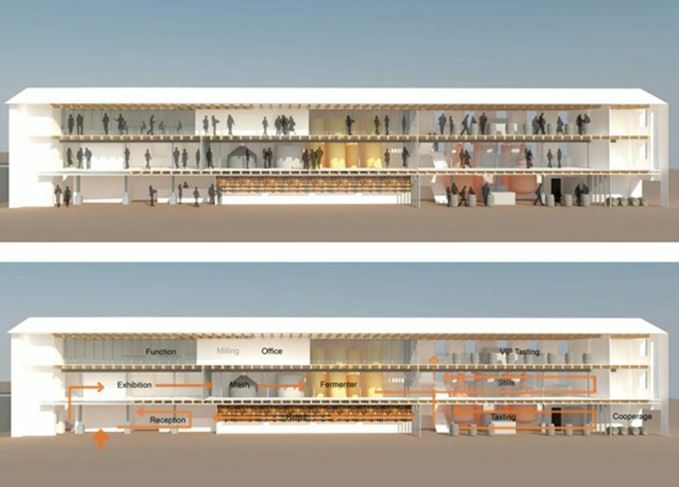 The City of Edinburgh Council has given the green light to a bid by former Macallan master distiller David Robertson and his group, Newmake Limited, to transform the Engine Shed near Holyrood Park into a whisky distillery. Pending planning permission, Holyrood Park Distillery will be the first to produce single malt whisky in the city of Edinburgh since 1925. ‘It seems to us that the one place missing a single malt distillery is Edinburgh, the capital of the country known for the world’s most famous whisky – Scotland,’ said Robertson. Designs for the £2m micro-distillery and visitors’ centre, which will produce around 100,000 litres of alcohol per year, include plans for an education facility for the community and schools, a space for community events, a restaurant and bar, plus a weekend market for local crafts in the courtyard outside. In addition, visitors to the distillery will be offered guided tours to discover the process of creating a single malt whisky. Holyrood Park Distillery is anticipated to begin distilling by summer 2016, with its first whisky released after four years. The project was being considered among two other proposals for the Georgian Engine Shed site, which was built in 1930, including a base for a disability charity and a hub for food-based businesses. The last single malt distillery to operate in Edinburgh was Glen Sciennes – also known as West Sciennes, Newington and Edinburgh Distillery – which closed in 1925. Grain whisky is currently produced at the North British distillery.